The Ayn Rand you know warns of government over-reach. “Government ‘help’ to business is just as disastrous as government persecution,” she scolds. “The only way a government can be of service to national prosperity is by keeping its hands off.” Most of her modern disciples are very fond of “Atlas Shrugged,” Rand’s chronicle of railroad baroness Dagny Taggart and her struggle to succeed against an incessant headwind of government interference, regulation and outright thievery. Eventually, Dagny escapes to the insulated mountain enclave of uber-capitalist John Galt, where the world’s movers and shakers live and compete in perfect laissez-faire utopia. The moral is explicit and impossible to misinterpret: Government is the problem. But Ms. Rand had more to say. 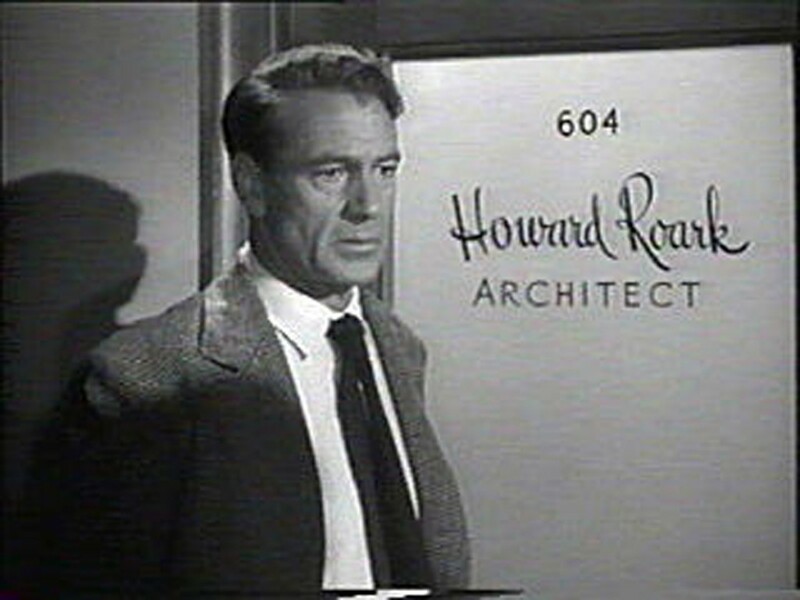 Next to Shrugged, Rand’s next best known novel is “The Fountainhead.” It is the story of Howard Roark, a brilliant, but misunderstood architect and iconoclast. In an early scene, Roark is found criticizing The Parthenon as a shoddy derivative of earlier work. Roark’s vision is clear and his self-assurance, unmeasured. Like Dagny Taggart, his unflagging integrity and loyalty to own genius comes at great cost. The key difference is that Howard Roark’s problems are mostly independent of government. His foes are unscrupulous reporters, nepotistic professional organizations and myopic corporate yesmen. When Roark seems on the cusp of winning a contract for the design of a new bank, he is not thwarted by any agent of any government. The owners of the bank unexpectedly add the condition that Roark make “one or two small changes.” These changes turn out to be quite drastic and antithetic to Roark’s entire vision. They want Roark’s genius in a comfortable box, one that won’t upset the architectural community, one that’ll be familiar to customers and employees. Roark refuses and returns to a life of poverty. The theme to which Rand continually returns is the struggle of the individual against the collective. But the face of that collective takes many forms, not all of which can be blamed on economic central planning, government overreach or wealth redistribution. The lesson of Howard Roark is that you don’t need government to stamp out innovation and initiative or to frustrate the work of visionaries. A contemporary of Rand was the Austrian economist Friedrich Hayek. Hayek was also a faithful believer in the power of the market. He popularized the phrase “spontaneous order” to describe the systems of production that arise naturally, without central planning. An economy, he said, is similar to a brain or an ant colony or a snowflake in that when simple sub-parts interact, they naturally move toward the “best” position without the influence of any over-arching design. These decentralized systems produce astounding results which far exceed our expectations when examining only the individual pieces. In economic terms, the wants and needs of people, expressed through the price signals in the economy lead to the best allocation of resources. When a new and superior product or method of production arises, it supplants the old not because any one person or committee declared it better, but because, collectively and independently, consumers express their preference through their purchases and suppliers respond. Hayek called it a “fatal conceit” to imagine that a top-down, planned system could match these spontaneous systems for productivity or efficiency. It’s this last point that I think needs examination. But first, I want to make the point that Hayek and Rand and I all agree that there is a system. Even when the government doesn’t mandate it, we are organized into businesses and unions and churches and fantasy football leagues. These institutions, as much as price signals, determine resource allocation. All of these systems, not just the governmental ones, are subject to capture and manipulation by self-seeking members. Economists would quickly point to cartels or monopolies as government-free, self-organizations that hamper economic efficiency. When one firm, or a number of ostensibly competing firms capture enough of a market, they can act to squelch competition and innovation or raise prices for consumers, increasing their own profits without providing additional benefit. Anti-trust actions can be seen as government intervention on behalf of individuals against the anti-meritocratic power of these institutions. In the case of a cartel, Hayek’s “spontaneous order” arises. It’s just not efficient. Some top-down interference in the market creates a better, more meritocratic system. Race and gender are powerful and important social organizing principles within almost all of our institutions. And they organize us in a decentralized, spontaneous way. There’s no central committee or despot that decrees that men shall operate forklifts or Asians shall join the math team. Instead, independent individuals conform or rebel, praise or stigmatize, establishing and enforcing our collective values. In her book, Framed by Gender, sociologist Cecilia Ridgeway describes spontaneously emerging systems to explain why gender inequality persists in the face of efforts to correct it. Ridgeway writes that many institutions–businesses, schools, governments, media, etc.–interact (I would say “interlock”) to create a very resilient “gender system.” When efforts are made to correct inequality in just one of these institutions, that institution no longer fits in this structure. Rather than the structure toppling, the remaining, conformant institutions exert pressure on the non-conformant institution to bring it back into alignment. This makes the system quite resilient to change even if it could be made more efficient. Racism, sexism and other forms of discrimination are inefficient as well as unfair. There are market forces that punish business that hire and promote employees for any reason other than their ability. And yet, discrimination persists. One reason for this may be the self-reinforcing system of institutions that resist meaningful change, not because the members of the institutions are overtly racist or sexist, but because the institutions themselves preserve bad (and good) ideas and practices. Our institutions are connected in a tangled, self-reinforcing web of mutual influence. The result is values which pervade our institutions, but which do not have a single source in any of them. They can be attributed equally to the organizational structure of institutions and to the beliefs of the individuals within them. Even when we don’t explicitly express them, such beliefs can affect who we hire and promote, who we pay attention to, and who we aspire to become. Universities, businesses, consumers, families, TV stations and churches form a stable and spontaneously-ordered system. Each of these parts has an incentive to conform lest it be censured by the rest of society. This gives them a resilience against change, including changes toward greater efficiency. Adam Smith to the rescue? There are certainly economic forces that combat these inequities. At the level of strictly one-on-one interactions, it’s not in the interest of any of these institutions to hire or promote or admit someone for any reason other than they’re the best person for the position. In an ideal world, the firm that lets its racial or gender preferences get in the way of hiring quality employees, would be at a disadvantage. The question is whether these market forces are strong enough to overcome the formidable collective forces that maintain the status quo. And, if they are, how long will they need to do it? Social forces were strong enough to maintain segregated housing, buses and drinking fountains in the American South for 100 years past the end of slavery in spite of market incentives to satisfy free Black clientele. Eventually, it was top-down government action that put an end to some of these discriminatory (and anti-meritocratic) practices. Without Lyndon Johnson stepping in, who knows how long the South might have remained segregated. Today, we face similar questions. The United States is very attached to its private health care system. The most vocal opponents of nationalized health care tend to be those with great faith in the organizing power of the market. Whatever the advertised advantages of nationalized health care, they object to putting a bloated, inefficient government between people and their doctor and assume it will lead to expensive, low-quality care. But, of course, that work is already done. The private institutions that currently provide health care are some of the largest and least efficient in the world. Howard Roark would not be surprised by this. Why should we automatically expect them to be efficient simply because they’re not run by public employees? These institutions are similar to governments in that they are subject to lobbying and incorrect incentives. They’re certainly large enough to create and hide waste and fraud. What’s worse, for most of us, there are now three giant bureaucracies between ourselves and our doctor–employers, insurance companies and hospitals. These large bureaucracies interact and shape one another, conveying values and reinforcing the existing order against attempts at change. The question deserves to be asked whether this “spontaneous order” is really the most efficient, or whether it’s subject to the same (or more) problems as centrally-controlled economies and industries–waste, fraud, cronyism, organizational sclerosis, unresponsiveness to consumers, etc.. True believers in beneficent “spontaneous order” do not deny the existence of non-governmental bureaucracies. They either claim these bureaucracies will be short-lived and replaced by better organizations, or they believe, with dogmatic certainty, that any state attempt to improve them will result in a worse situation. At risk of over-generalizing, I would submit that many spontaneous order junkies are simply reassured by a scientific sounding idea that justifies their own position at the top of the hierarchy. If you’re top banana, it may be comfortable to assume the market is a perfect meritocracy. At very least, your motivation to examine the status quo is reduced. But there are compelling examples to suggest that there are places in the market for government interference to protect competition, smooth out the business cycle and provide a safety net for the market’s inevitable victims. This does not mean we should ignore the power of spontaneous order, but neither should Hayek be used as a magical incantation that makes private sector inefficiency, discrimination and waste disappear. Policy proposals, from banking regulation and affirmative action to health care delivery systems and taxation, must be argued on their own merits, rather than falling back to simplistic axioms or allegories. Previous article Beyond the "race card"